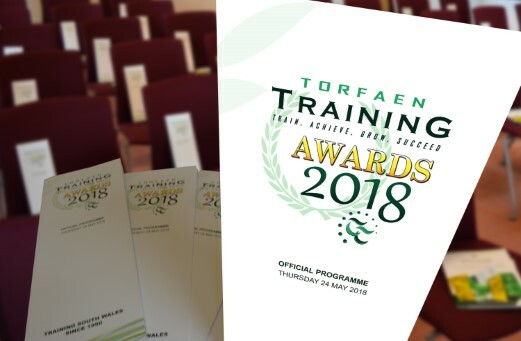 Sian Davies, currently working at Torfaen Leisure Trust, has recently won the Torfaen Training Foundation Apprenticeship of The Year Award which took place at the Life Station at Trevethin, Pontypool on 24th May and was attended by over 50 guests. At the ceremony Sian was acknowledged for all the hard work and dedication that she has put into her learning programme over the past year. Initially Sian enrolled on a Child Development level 3 course at her local college but after a number of months found it was not a learning environment that suited her. 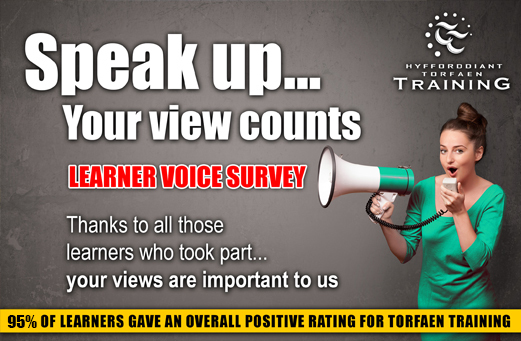 It was at this point that she contacted Torfaen Training who, after an initial meeting, were quickly able to assess her needs and establish that work based learning would be the best way forward. Soon after Sian began her Foundation Apprenticeship at Torfaen Leisure Trust, Cwmbran. During the first few month Sian lacked confidence and found it difficult to engage with customers and members of staff. Much of the work she currently does with ease such as manning reception, resolving customer issues or answering the phone was quite a challenge during those early days. However, with so much support from work colleagues and from Kimberly Allen, her Torfaen Training Officer, Sian quickly grew in confidence and developed both her work based skills and academic ability. “I have settled into the work based learning environment much quicker than a college setting and find it a lot easier to relate my studies to real-life work situations. The Torfaen Leisure Trust team have a lot of experience and show me the necessary skills required for each task I undertake. My work based skills and confidence has increased dramatically in a short space of time and I look forward to coming into work each day”. 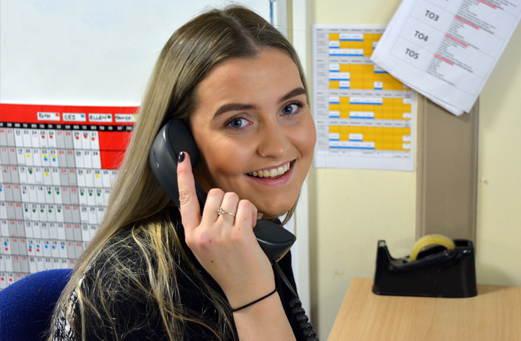 In her role as Administration Assistant Sian feels that she is able to improve her career whilst gaining qualifications and work experience at the same time. 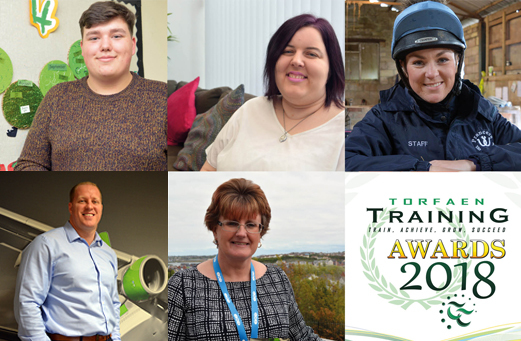 Looking back Sian realised it was a big decision to move from College to a Foundation Apprenticeship but having recently won the Torfaen Training Foundation Apprenticeship Award 2018 knows it was the right decision make. Torfaen Training Foundation Apprentice of The Year 2018, Sian Davies, in work at Torfaen Leisure Trust.